Book of Mormon Go Fish! 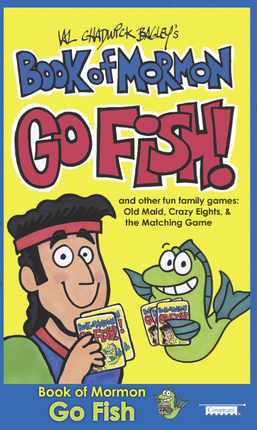 Whether you dwell in a tent, float in a boat, or just enjoy life in a land of promise, you and your family will have an exceedingly fun time with Book of Mormon Go Fish! (and Other Fun Family Games)! Well, I would say - nothing special. 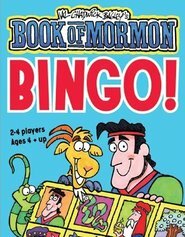 The games have nothing to do with the Book of Mormon. The cards just have the pictures of the characters or objects from the Book of Mormon. Boring for adults but interesting for kids though. Terrific idea for a FHE activity.